Make any trip, the ultimate. You can really take any trip to the next level with the ultimate camping package. 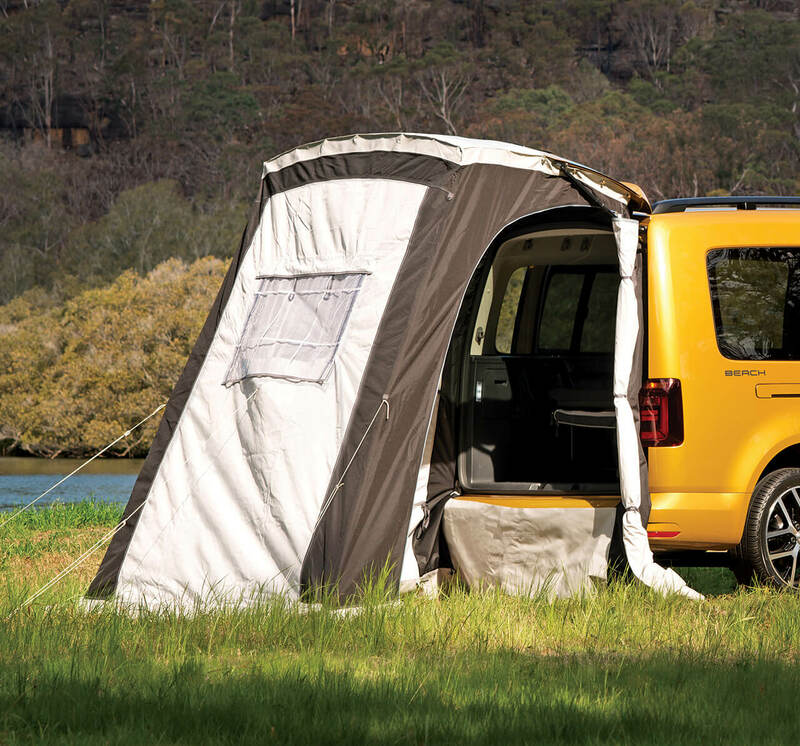 The expandable tailgate tent adds a 2.3m x 2.0m of living space, and features the handy walkthrough feature for added ventilation. To complete your ideal camping spot, open up the two folding camp chairs and folding table and you’ve got your very own holiday home. Nothing beats sleeping close to nature. 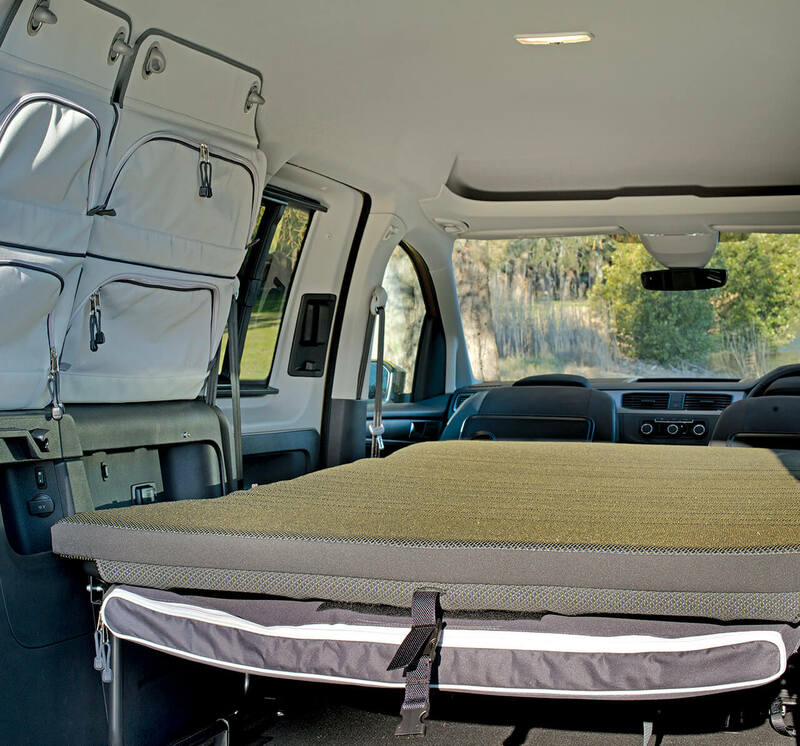 And to ensure you get a good night’s rest, the interior of the new Caddy Beach converts into a wide fold-out bed with opaque block out curtains for the windscreen and front windows. There’s even magnetized curtains for the side windows and handy storage bags for the rear windows. We’ve made sure you’re fully equipped, so all you need is your luggage.